Hi, there! I’ve missed all of you during my three-week vacation. I just got back, so I’m still on my way to update my blog . First off, I just want to thank those that have supported me and given me helpful advice through their comments. I look forward to seeing more in the future. Now, how have you been doing recently? Are you feeling contented with your life so far? Don’t worry! Even if you’re feeling like it’s deteriorating, today could be the day to get the hope to release the pain. For healing, there is a big difference between Christianity and psychology. Psychologists try their best to fix a person’s self-image, to build up the self-confidence of the person. The healing in Christianity releases the person from the ruined power in the flesh, and transforms the mind of the person through the power of God. For me, I also agree that healing is about the work of confession and repentance. Through the work of God’s Holy Spirit, the sins deeply buried in a person will be manifested. Moreover, through the blood of Jesus Christ, sins can be cleansed and forgiven. Surely the person’s mind will eventually be renewed and healed by God’s Word. In the Bible, it says, “Therefore confess your sins to each other and pray for each other so that you may be healed. 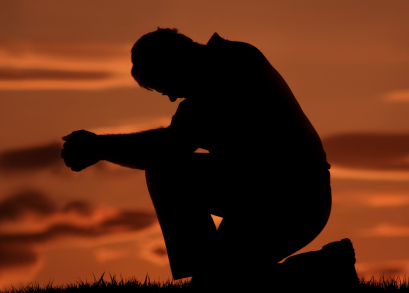 The prayer of a righteous man is powerful and effective.” (James 5:16) This doesn’t mean we can’t pray for ourselves. As long as we come to God and pray by faith, God listens to our prayers. In this verse, “support” is important. It also emphasizes that to be healed, we must come out of isolation and hiding. This means finding a person, or ideally a group of significant others, whom we are willing to trust. In the book “Healing the Shame that Binds You,” John Bradshaw talked about grief work, validation, and support. He said, “Perhaps the most damaging consequence of being shamed-based is that we don’t know how depressed and angry we really are. We don’t actually feel our unresolved grief. Our false selves and ego defenses keep us from experiencing.” “The greatest tragedy in all of this is that we know grief can naturally be healed if we have support. The reason people go into delayed grief is that there’s nobody there to validate and support them. You cannot grieve alone. Millions of us adult children tried it. We went to sleep crying into our pillows or locked ourselves in the bathroom.” “Delayed grief is the core of what is called post-traumatic stress disorder.” “The feelings involved in ‘grief work’ are anger, remorse, hurt, depression, sadness, and loneliness.” “Grief work is a process that may take a substantial amount of time to finish.” John Bradshaw also encouraged people to do their grief work with a qualified therapist. He even thought some people might need residential treatment. In brief, the unresolved grief work is a re-experiencing process, liberating, and integrating your lost Inner Child. My personal healing experience was: about 17 years ago, there was a pastor who gave me a bunch of books to read talking about the dysfunctional families. He guided me to pray for God’s healing, and then I finished the major parts of grief work by myself within a couple of years. Praise the Lord! The Lord healed me. Jesus Himself was my validation and He was also my support, too. It’s widely recognized that a child’s personality is formed by the age of four or five, certainly by six. Some people even think the age can be set as early as at three. I have ever helped a sister from the church who has suffered from vigilance for a few years. I didn’t know what childhood pain could leave her until, in conducting prayers with her, I heard her relive her hurts hour by hour, hurt by hurt. Praise the Lord! The sister has not only relieved from the tension and anxiety but also gotten out of her fantasy world and bond after the in-depth sessions of prayers. She has stopped feeling sad after one year. More joy on her face, and she looked more beautiful day by day. The beauty was coming from her inside. Jesus has healed her! Her mind has been tranformed. Her whole self ( body, mind and spirit ) has been healed. Now, you may like to know a bit about her parents, right? The sister’s parents were a very educated couple, and good Christians. However, eventually I understood her mom was dominating over her most of the time and only she always kept good performance could please her mom. Her dad had also a smattering of character disordered personality traits. According to psychologist Gershen Kaufman in his book “Shame,” he said that depression, alienation, self-doubt, isolating loneliness, paranoid and schizoid phenomena, compulsive disorders, splitting of the self, perfectionism, a deep sense of inferiority, inadequacy or failure, the so-called borderline conditions and disorders of narcissism-all result from shame. Shame destroys self-esteem. Maybe you’ve also noticed that some scientific evidence indicates self-hate (or low self-esteem) can play a part in everything from head colds and accident-proneness, to headaches, intestinal problems, and cancer. It’s obvious that some of the concrete scientific evidence shows the linking between disturbed emotions and illness. And, it is now also recognized that there is usually an emotional component in high blood pressure and heart attacks. Life changing events such as trouble with in-laws, death of the spouse or children, divorce, loss of a job, financial difficulties, or change in school, etc. would also predispose a person to many different forms of illness. According to some group of researchers, different kinds of illnesses triggered by life changing events could also include colds, skin disease, heart attacks and tuberculosis. Cecit G. Osborne pointed out a case in his book “The Art of Learning to Love Yourself” talking about a lady named Jean who was dying of cancer in her mid-thirties. Jean said she couldn’t prove that there was any connection between her illness and her mother’s attitude, but she felt deep down that there was some definite relationship. Her mother always insisted that her children were perfect. However, Jean knew she wasn’t perfect, of course, and she thought this created a terrible conflict between the knowledge that she was an imperfect kid like everyone else and the goal of perfection that her mother set for her. Jean said that the goal of perfection has been an intolerable burden all her life. She felt that this conflict she had lived with so long was somehow related to her cancer. I totally agree we must cease blaming ourselves for what we have become and to avoid any tendency to blame our parents, because nobody is perfect. Only God could assess the blame or fix responsibility. Jesus said, “For I have not come to call the righteous, but sinners.” (Matthew 9:13) We are sinners and we all need His mercy and salvation. Dear friends, if you haven’t known Jesus yet, please go to a Christian church nearby and start to know the story of the living God: God’s creation, human’s fall, Jesus’ redemption and the restoration. After you have become God’s children, you could come to Him any time by faith and ask for His guidance and healing. As for the children of God, are you ready to start the unresolved grief work today? A) Find a quiet corner, only you and God. B) Get ready a pen, journal; or recorder. C) When you’re in a low mood, particularly good for doing the grief work. D) Don’t limit the work of Holy Spirit. Dear Lord Jesus, I’ve come to you. Please shine your light upon me. Holy Spirit, please guide me to go back to my past life, from my birth to the current, has any event happened in my life and caused my personality growing immaturely, please let it come up now. Thank God and praise the Lord. In the name of Jesus I pray. Amen! It takes time to completely calm yourself. Wait before the Lord patiently! Write it down or record it when the Lord shows anything in your mind or anything comes to your mouth. It’s the time to let your genuine emotions fully come out. Don’t think God can not stand it. God knows everything even you don’t say it. Don’t limit the work of Holy Spirit, either. God can start from any event He thinks good for you. Based on my experience, the most current event which hurt you will come out first and then it takes time to touch your core part. one chapter from the Old Testament. one chapter from the New Testament. Make sure to not jump from one book to another randomly when you’re reading the bible. Dear brothers and sisters, if you have any questions about the healing prayers (from step 1~3), need further instructions of how to pray regarding the step 3. or need prayer support and guidance, if you like, let me know through the comment box on my web or e-mail me: miriamandyou@gmail.com by 09/07/2012, I will arrange all the questions and needs and try my best to answer them on my next post which will be on 09/16/2012. Don’t worry. Privacy will be always kept privatly. Dear friends, if you like to know more about Jesus and His salvation or have any questions about Christianity, please also contact me. I’m more than happy to help you. Wish you to join God’s big family very soon. Wish you all have a good start on this spiritual journey! My ears had heard of you but now my eyes have seen you. (Job 42: 5). This entry was posted in Holistic Healing, Spirituality and tagged Christianity, health, holistic healing, Inner child, Life, Spirituality. Bookmark the permalink. vvaluable infco to work on. You hawve performed a formidable process and our whole comunity will likely be grateful to you. Thank you for the encouraging comment. I pray that the Lord Jesus Christ guides your community to know Him more and experience His love and power of healing. Thanks for your kind words. May the Lord Jesus bless you knowing more about Him, and experiencing His love and power in your life. Thank you andd besst of luck. Glad to hear that the post is helpful to you. I pray that you will experience not only the process of spiritual transformation but also the holistic healing in the Lord Jesus Christ.